Mix all ingredients except cheese in 12-inch nonstick skillet. Heat to boiling, stirring occasionally; reduce heat to low. Cover and cook 10 to 14 minutes, stirring frequently, until pasta is tender. Add cheese; stir until melted. Finish off this meal with coleslaw, crusty rolls and slices of cool, refreshing watermelon. It's easy to add some ham to part of this skillet dish for the meat lovers in your family. 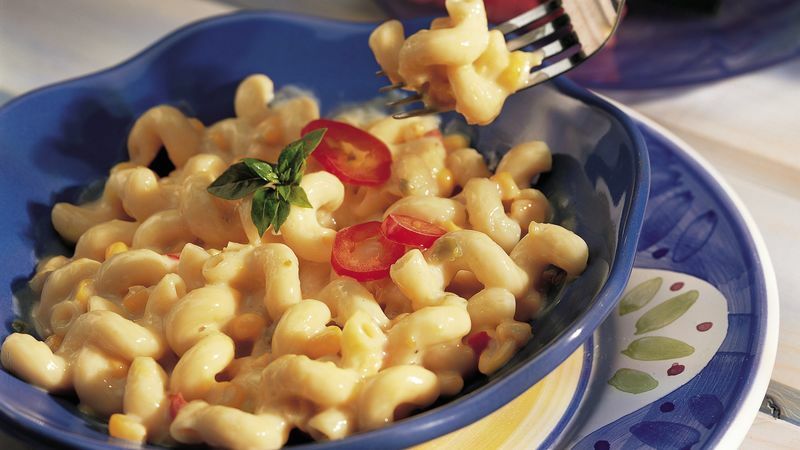 Remove half of the pasta and cheese from the skillet; keep warm. Stir 1 cup of cubed fully cooked ham into the remaining pasta in skillet; heat through.